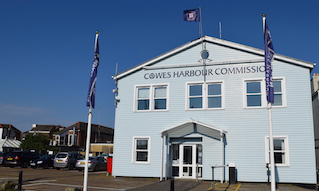 The Cowes Harbour Services Boatyard in East Cowes is conveniently placed for coming ashore for an autumn/winter refit or extended stay at any time of the year. 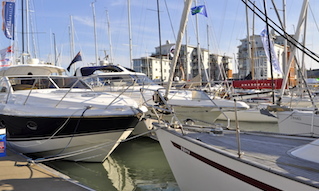 The yard has extensive facilities for up to 150 boats, from the easily trailered to yachts and motor boats up to 40 tonnes. Water and electricity is available throughout the site. You can choose between storing your boat in the extensive yard and taking advantage of the indoor 'Boat Store' facility. The Boat Store offers year-round under cover storage, suitable for boats on trailers, boats up to 10m, and boats in cradles. 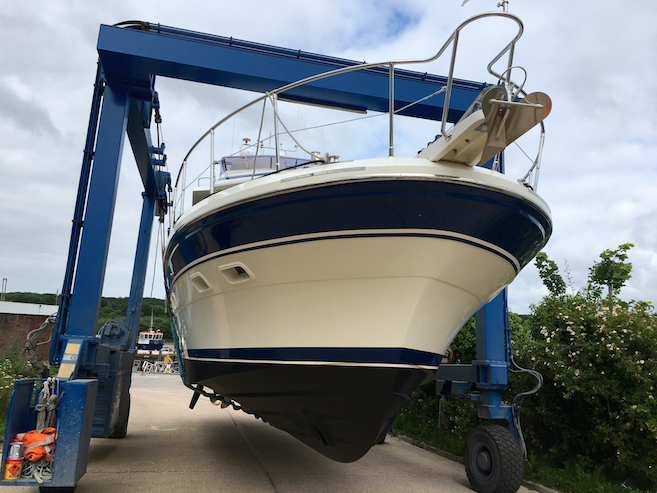 The Boat Store is also suitable for dry sailing, dry storage, light works and refit, gel repairs, electrical works, outboard rigging and more. The storage facility could also suit businesses appropriate to the Kingston Wharf location in East Cowes. The Boat Store is available for short, medium and long-term occupation. 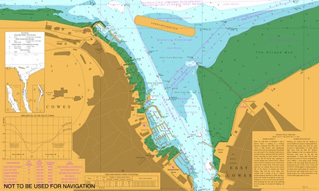 See our section on 'Cowes Harbour Storage'. At the Cowes Harbour Services Boatyard, all of our lifting is handled by a 40 tonne Wise Hoist, operating over our purpose built hoist dock. Once a vessel has been lifted, we have a custom wash down facility with high pressure cleaning and sump drainage system. The hoist can travel the length of our lower terrace or vessels can be transferred to our new self-propelled boat mover. The self-levelling boat mover has a maximum lift capacity of 30 tonnes with multi-directional steering, making the trailer immensely manoeuvrable. The boat mover is reducing transit times from the hoist dock area to the main yard. 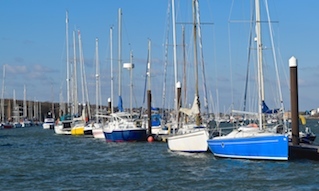 Please see our Boatyard Tariffs and Package Offers for the cost of services and storage, and don’t forget that our Chandlery can have whatever stocks you require available on arrival. Please note that whilst we try an accommodate everyone’s wishes this is a boatyard with a mixture of hard standing and concrete, it is also a working yard where marine maintenance will be undertaken and finally, during the busiest times of the year a certain amount of stacking will mean that the exit order will need to be the same as the entrance! Please talk to us well in advance if we need to consider any of these items for you, your assistance and understanding is much appreciated.